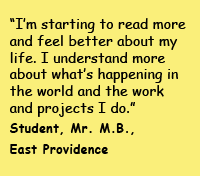 Literacy Volunteers of East Bay provides free and confidential one-on-one tutoring and group learning programs for students over the age of 18 who live in East Providence or anywhere in Bristol or Newport counties. It’s all about YOU, your time, your place and your goals. Meet with a tutor in a convenient public location, such as a library. You will work together to create a learning plan that goes as fast or as slowly as you need. It is a learning partnership that gives you the tools to make your life better and open doors to new opportunities. 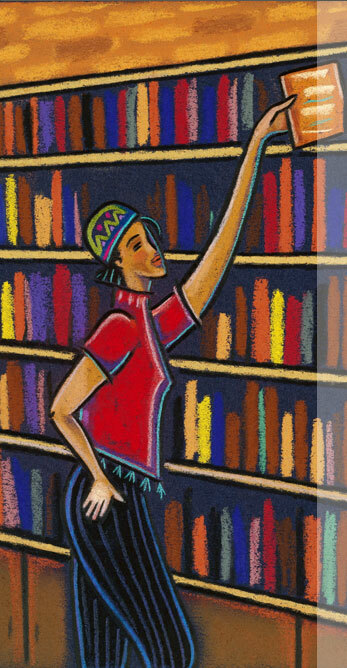 It’s easy to become a student with Literacy Volunteers of East Bay. Simply fill out our Student Contact Form to get started. If you know of someone who would benefit from the programs at Literacy Volunteers, call us at (401) 247-2177, or fill out and submit a Student Referral Form.